The topic today “1+N=?” is particularly relevant to PATEO, as we’re working as a bridge between our automaker clients and internet industry partners. Just as the saying goes, “it takes ten years to sharpen a sword”, the last decade witnessed the progression from the release of the first generation iPhone in 2007 to the official launch of iPhone X today as well as the numerous industrial changes brought about by broadband, 3G, 4G, Mobile Internet and smart phone. So it’s foreseeable that in the next decade, the Age of AI will come, featured by the connectivity of AI with urban intelligent mobility, and it’s a great honor for us to be part of such a great transformation of the time. For PATEO, turning such terms as “Big Data” into reality step by step is more important than just talking about them on paper, and we feel lucky to have so many internet companies and automakers working with us to probe into the next-generation products. Since its establishment, PATEO has built a large customer base, comprised of luxury, joint venture and self-owned auto brands, among which SAIC MOTOR is our first customer who has cultivated us, and Geely Boyue also represents one of our significant milestones. While serving these corporate clients, we find that each of them upholds different concepts of the connected car. E.g. Wuling hopes to use a brand-new business model to create an awesome and amazing future that is even superior to “Car on the Internet”; while FAW-VW and SVW focus more on the mobility service fields such as refueling, charging, insurance, used car and finance. I’m not saying this to advertise ourselves, but we truly believe that PATEO is a company that can empower traditional automakers. The four processes of automotive manufacturing (stamping, welding, coating and assembly) and the production, 4S stores and aftermarket services that we used to mention have now undergone earth-shaking changes. Automobile is no longer a simple means of transportation or personal mobile device. For us, the future will usher in changes in the whole auto industry that could be one thousand or even ten thousand times larger as compared with the year 2009 when I started up the business. All these changes, of course, won’t be possible without internet. Our cooperation with multiple partners at each link of the industry chain has given us access to innumerable data. For example, due to our deep collaboration with TravelSky, the airline data have been introduced, so that in the days to come, when you pick up someone at the airport, before leaving the car you can keep abreast of the real-time flight information including such details as the landing time and whether the parking bay is close or remote, etc. Because of its positioning as a bridge between automobile and internet, PATEO has always been known as “more of an expert in internet than automakers and more of a specialist in automobile than internet companies”. We once thought of positioning ourselves as a vehicle builder, but lots of big names told us that PATEO should play the role of “arms manufacturer” rather than the “fighter”, which afterwards turned out to be true. 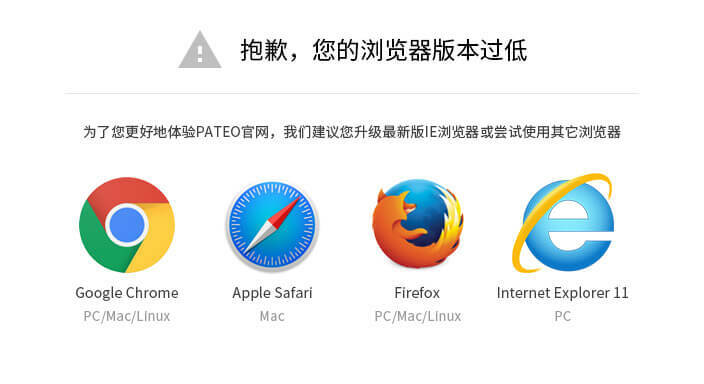 Despite the difficulties in cross-industry integration, PATEO is still maintaining the annual growth rate of 100% and has managed to become the only enterprise in China that is equipped with the end-to-end capabilities to link internet with automobile. Automakers, though good at integrating Tier 1 suppliers, are inherently incompetent for software and cloud, and even incapable of building vehicle underlying systems, which is particularly true when it comes to the deep integration of large ecosystems that involve not only internet, but also charging, payment and various other mobility services. The internet companies, despite their excellent technologies, are incompetent for automotive channel development, hardware technology, application of scenarios to automobiles as well as integration and collection of large-scale user data. Therefore, they would like to find such a firm that could act as the intermediary to provide integration service. PATEO needs approximately one year to understand a company before making contact with it. Since the headcount of a traditional auto company or an industrial corporation is basically no less than 50,000, you’d better not go into action until after getting acquainted with more than 200 of their core presidents and directors. And even after the contact, still one year is needed to develop the business partnership at a specific product level and another year to realize its fission and leverage. On the other hand, we’re very glad to see that State Departments including MIIT (Ministry of Industry and Information Technology) and NDRC (National Development and Reform Commission) have devoted considerable attention to the intelligent connectivity industry. When we started up this business, even we ourselves had no idea of the connected car, and the term hadn’t been coined yet at that time but is now often heard. Government intervention is absolutely necessary. Why it’s so important? Because intelligent automobile will not turn into reality without integration of various data from government. Let’s look at a simple example: If the data of the three ordinary commuting routes are known and the traffic conditions can be transmitted in real time from the cameras along the way, navigation will become useless and avoiding traffic jam is all that is needed. Another example involves the security & rescue field. Operation by an intern in a county-level hospital may be even worse than no operation at all, therefore a seamless connection with the Green Channel of Grade 3A hospitals are a must, otherwise the user experience will still remain poor even though the technology is available. If all traffic accident data of the Transportation Department are analyzed and the causes and course thereof are identified, accidents can be effectively avoided and their occurrence rate will also be reduced by 80% at least. And the ETC data of expressways are also to be collected from each city and province and then to be integrated at the State Government level. We’re very pleased that PATEO is very likely to be the first company to get such data. 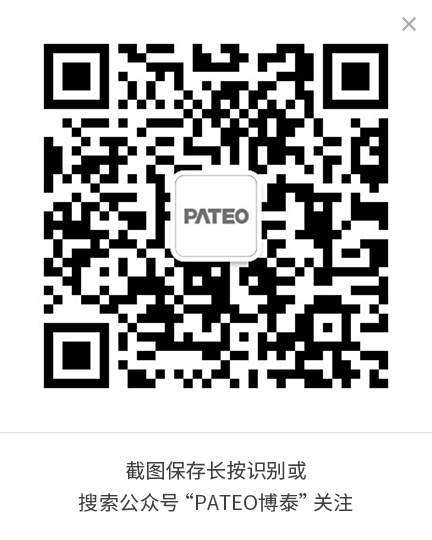 After 7 years’ development, PATEO has not only made achievements in terms of its reputation in the industry, customer resources and media, but also cultivated plenty of talents in connected car and thus being hailed as “Whampoa Military Academy of Internet”. Also its popularity in internet & upstream & downstream industries as well as its ability to spread & extend end-to-end business and conduct cooperation in ecological network of connected car are universally recognized. It’s particularly worth mentioning that Innovation - PATEO’s DNA - runs through our history, as we have always been emphasizing “Ultimate Quality, Ultimate Experience and Ultimate Intelligence”. There’re lots of examples that can be shared. Next year you’ll find our products possibly be ten times more intelligent than smartphone. I can reveal that PATEO is working on the first AI-based Voice Interactive System (VIS) with multiple applications combined which will replace all App Stores and application software in the future. Let me give you an example to illustrate this point. While driving, I receive a WeChat message from my wife, telling me to bring home some apples. After I reply “OK”, the logistics delivery will start. The “apple” here may refer to the mobile phone brand, a café, name of a contact person, music about apple or a shop selling apple, so AI technology is required to identify the accurate meaning, for which Baidu has given us great technical support, so that the functions of all these application systems - WeChat (Tencent), E-commerce (Ali, JD.COM, Suning), logistics and payment - can be realized through one interactive system, which was not possible without crossing the boundaries among the applications. In the future, multiple applications will be deeply built in the Cloud and integrated into one OS to form an intact enclosed scene product. I’ll show you the product when it gets released. PATEO is so open-minded that it would like to set up joint or cooperative ventures with all businesses. Someone may wonders why, because connected car is so big a cake that RMB 5 billion yuan needs to be invested in R&D per year which is beyond our ability. Patents are of course also significant, as it’s the most important key to protecting a company’s R&D and innovation achievements. PATEO, as one firm with IPR advantages in Shanghai, has owned nearly 900 IPRs with 300 of them authorized, and is expected to hold more than 5,000 patents by 2020. Here I’d like to emphasize that you should never save money on patents during the start-up stage. Another essential competitive advantage of PATEO is the unique value that we have created. In the connected car age, tremendous changes are always happening. The years of 2009~2012 was the stage dominated by GM OnStar and Toyota G-Book with OEMs playing the leading role and making products by themselves. The years of 2013~2015 was the so-called “Five Dynasties and Ten Kingdoms” period with such emerging things as line-fit & dealer-fit IVI, smart rearview mirror, ADAS and even UBI insurance coming up in varied colorful splendor and the “connected car” concept unveiled, but the business model and the way to put it into effect were still not clearly defined. The period of 2016~2018 is mainly featured by automakers and connected car companies establishing business relationship through joint venture or merger and conducting deep or equity cooperation with their own positioning clearly defined, because connected car has become systematic. Automakers are attaching increasing importance to this business segment but are hard to run it independently, so most Tier 1 suppliers rely on their cooperation with AMap and iFLYTEK to provide the first generation navigation-oriented intelligent HMI services. During the next period of 2018~2022, the connected car industry will continue go through huge changes. Firstly, given the rapid development of technologies, autonomous driving will soon become true, but the in-vehicle data intelligence technology hasn’t been applied to tangible products. Connected car technologies, if separated from vehicle and not be utilized to realize the intelligence of so many electronic control & electrical-mechanical management modules, will be totally nonsense. Seeing that the 5G communications network, digital cabin and voice-and-navigation-based AI age are all upcoming, the technologies of the whole connected car industry should be striding forward faster than our imagination, and we as an industry leader should not ignore this. Since it’s impossible for a single company to step into the twenty or thirty connected car design fields at the same time, we’re working together with numerous partners to jointly get everything done with implementation of ecosystem as our first priority, this is the so-called “1+N”. Our role is to upload data of 5 million vehicles to Apollo for calling by 2020. The biggest difficulty in autonomous driving lies in the driving habit instead of the technology itself, and considering the great importance attached to data by each OEM, we established joint ventures with UAES and other automakers to build vehicle underlying data system. With this system in place, the trunk will open by itself when you carry two boxes of instant noodles bought from a supermarket. The present 4G communications technology of connected car will evolve into 5G in the future, and T-Box will also develop into an intelligent gateway. We’re about to provide 100G flow for each vehicle, as connected car will by no means get facilitated if the in-vehicle communications cannot be on a par with the broadband at home. PATEO will also cooperate with other enterprises in electronic systems of the connected car, ranging from the previous navigator to Tesla instrument cluster + large display + immersive cockpit as well as such software as real-time operating system, intelligent operating system, basic cloud services, AI services, third-party content & data interface, data recommendation engine and third-party accounts. For each segment field, we’ll select one exclusive partner, so this will be an era most clearly characterized by “cliques and factions” in some technical fields. However, whether a company could get a clear perception of this and know how to put it into action will depend on its understanding of this industry as well as its execution ability. Given that ecosystems of internet, communications and application-oriented industries are significant for a connected car company and should be open and non-exclusive, we’re discussing with two largest mobile phone companies in China on opening access to the underlying ROM data to make cell phone controlled vehicle possible. We work with Baidu IDG (Intelligent Driving Group) for data uploading. We’ll also standardize the near focus & far focus configuration of the camera, but we won’t ask engineers to process the images, so that a lot of data won’t become impure, although this could add the product’s market value. Considering that the accomplishment of such tasks as “I want some apples delivered to my house today” is highly demanding on computing power and big data, we’re exactly working on this to build the next-generation products, and our collaboration with Baidu Cloud will hopefully get things done faster than the cell phone. We’re also joining hands with Suning to make big moves. Here I can reveal that we two are about to cofound a company with us providing 10% of the time-sharing lease technologies in the capacity of a shareholder; roadside parking lots will be selected in several districts of Shanghai and Nanjing to make the whole things work out logically. Our cooperation will also expand to auto finance field known as the most essential to connected car. We promise to college students in the 400 university networks searched by Suning that with 300-yuan monthly installment, they can drive a car away – This is the so-called finance product. We’re working with HUAWEI to develop the next generation products, with UAES to develop products as intelligent as armor, and also with Bank of China and China UnionPay to develop the first prepayment-free & password-less standards, as leasing luxury cars such as Volkswagen Bentley, Porsche and Audi only requires purchasing the use of them for one year. We that the previous infotainment model is evolving to the next stage with the whole technology developing at a much-faster pace than our imagination. Meanwhile, the entire technical platform involves so many fields that deep collaboration with excellent chip providers, internet firms and communications companies is indispensable which is more than making a product. The government pays so much attention to connected car field that China Automotive Development Corporation is expected to be established towards the end of the year. For the whole automotive industry, the value-added intelligence means more than the automobiles equipped with Internet access and a wireless local area network or the great dream of autonomous driving, but rather the shifting of 60% profit to another company with a clear positioning, capable of integrating “N” enterprises, making really ultimate products and boasting over 10 million users by 2025 who are far more active than those of smart smartphone. During our long journey, the first 7 years were spent on groping the way, the 5-7 years that followed on basic users, platform building, strategic positioning & layout, then the subsequent 5 years will be on generating revenue. So these are PATEO’s ideas that we’d like to share with you. Thank you!